We’ve noticed a pattern when we travel to a new place: for the first couple of months, we feel like strangers, after three months things begin to feel familiar, after six we’ve made friends with locals, and after nine we feel at home. Beyond that, it gets hard to leave and the place keeps a little piece of our hearts. Places are like onions—you have to peel back the layers. And a lot of the places we visit have a skin of tourism that puts us off initially, but once peeled away, reveals something fresh and interesting. Little by little, we have begun to dig beneath the surface here in Guatemala, both literally and figuratively. Through a friend in the Keys who is starting an orphanage on Lake Izabal for abandoned and abused children, we met the Guatemalan guy who will be the house father, who also works for an organization that runs a high school for indigenous villagers with an itinerant teacher, and who helps organize a week-long kids’ camp in January before school starts (the equivalent of a Vacaction Bible School in the U.S.). After visiting the orphanage in October, I knew there was something special happening there, and that I wanted to be a part of it. 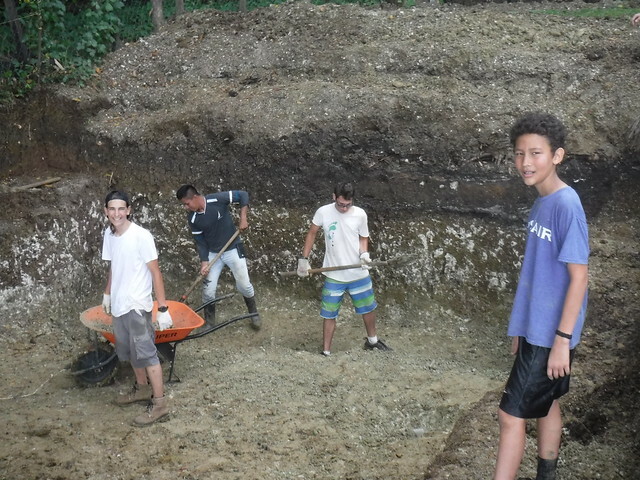 Our boys began to go on weekends to do work at the property— building a privacy fence, digging a pit at the edge of the lake that will eventually be a slip for the orphanage’s lancha, moving rocks, and doing anything else boys with lots of energy can do. 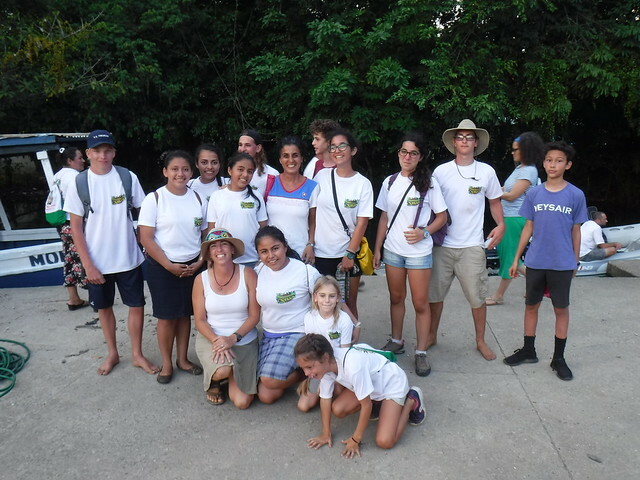 By the first week of of January (the last week before school starts here), we were excited to help with the Campamento Rio Dulce. If you didn’t grow up in an evangelical church in the United States, you may not know what a Vacation Bible School is: it is a week of camp, organized by a local church, geared toward introducing kids to the Bible in a fun and engaging way. 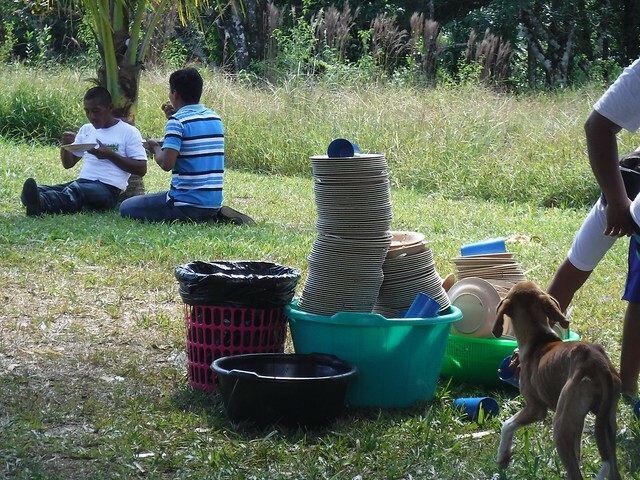 Kids do arts and crafts, play sports and games, sing songs, and learn Bible stories. 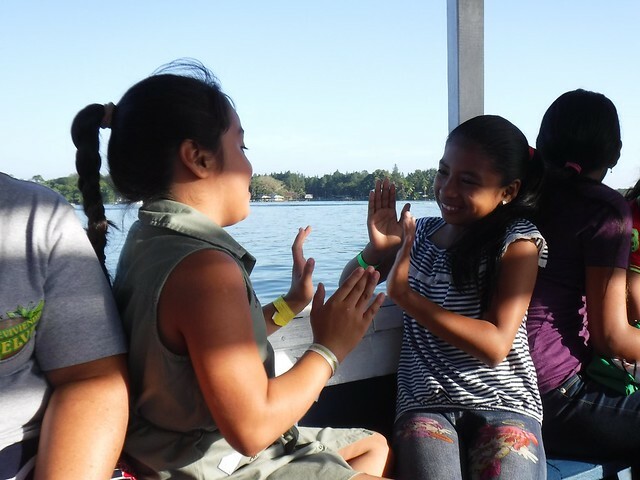 In Rio Dulce, the camp was started five years ago by a missions team from a church in Texas that wanted to give the local churches an opportunity to reach out to the children in the indigenous villages along the river. These villages originated as Mayan refugee camps during the civil war, and the people are survivors of an attempt at ethnic cleansing. Some of the kids who come to camp from the 17 villages represented speak only Q’eqchi’. 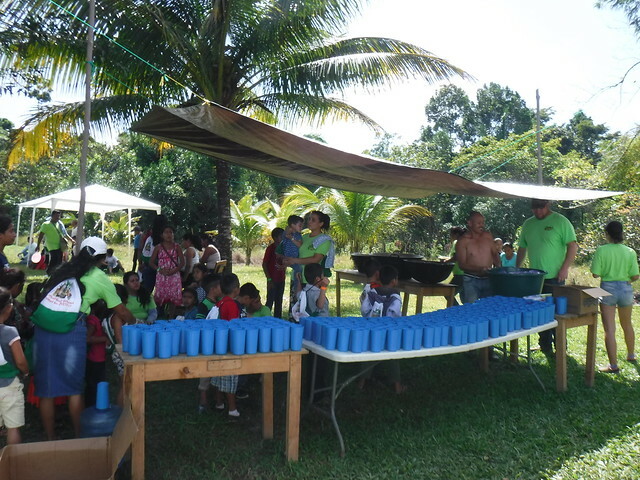 The local churches have taken responsibility for the camp (still funded by an organization in the U.S.) and it is an impressive community effort. 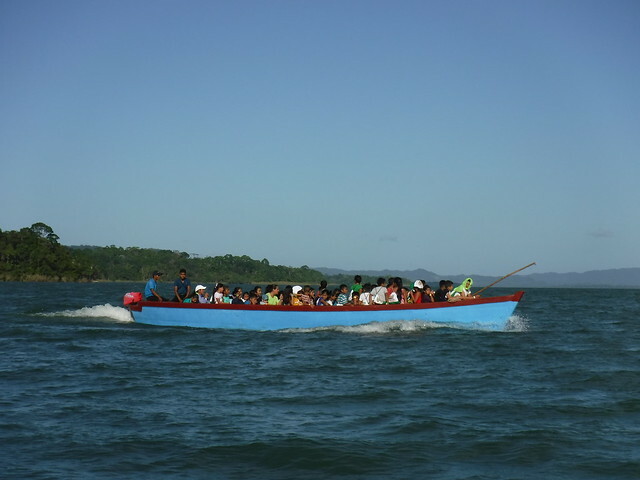 We rode a large lancha every morning full of screaming and singing children, teenage camp counselors, and volunteers to a remote place on the river, up a mangrove creek through the jungle to the campsite. The fast lancha with the cocineras, the cooks, got a head start so the ladies could light the fires and begin cooking lunch for more than 300 people. This is not a peanut-butter-and-jelly operation. 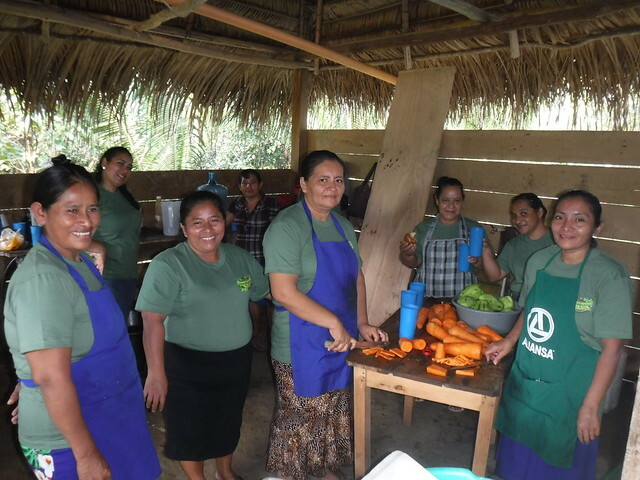 These are ladies who volunteer to chop vegetables, make tortillas, and cook rice, beans, and chicken soup in enormous pots over open fires in a thatch-covered hut, then hand-wash the 300 plates and cups outdoors—every day for a week. Joining me, Eli, and Aaron were three teenage friends from other boats—two girls from Israel and a boy from South Africa. I was helping with arts and crafts, up to my ears in scissors, crayons, glue, and googly eyes. 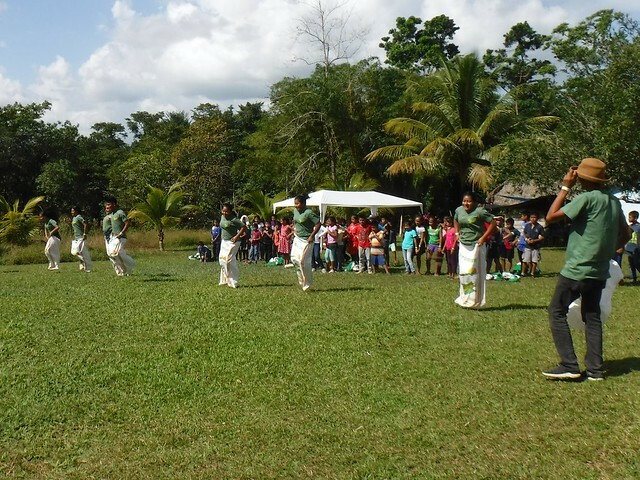 After standing around much of the first day trying to figure out what they could do, the teenagers ended up helping Josue with sports and games. Our kids’ time in Homeschool P.E. in Marathon came in handy, as they knew lots of big-group games. The language barrier was the biggest obstacle, but once that was overcome (with the help of a kind translator who speaks flawless Spanish with a North Carolina accent), there was no stopping them. 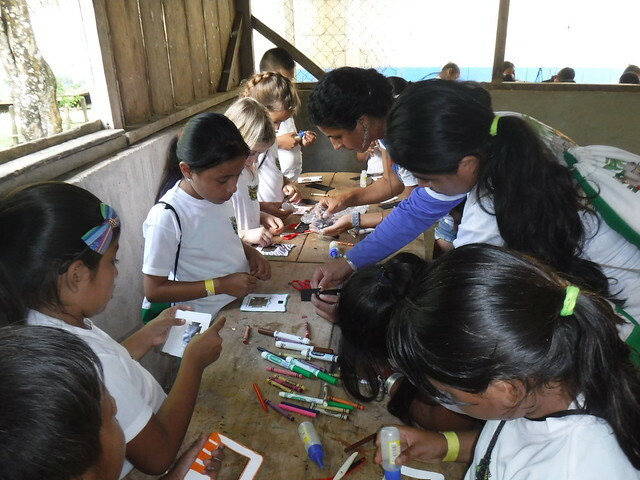 I loved helping with arts and crafts and felt at home in a roomful of little people jabbering in Spanish, as it reminded me of my teaching days in Atlanta, where I taught Kindergarten in a school that was 80% Spanish-speaking immigrants. Even the groups with big kids, who didn’t need help with the crafts, were a joy—they were practicing their limited English with me, and I was attempting to learn to count to 10 in Q’eqchi’. Some of my favorite memories from the week of camp come from the assembly time at the beginning and end of the day. 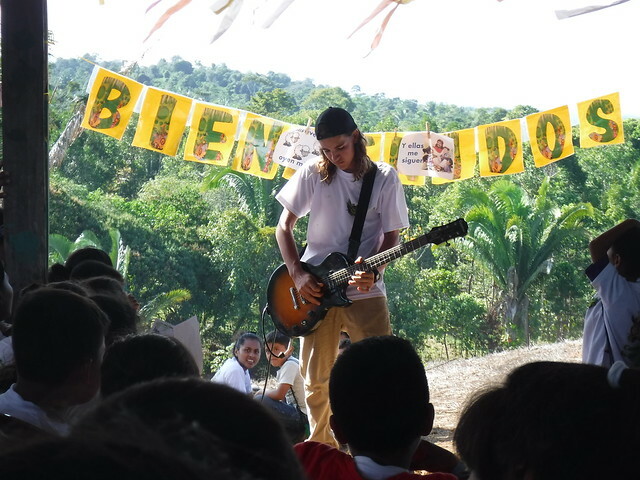 Aaron brought his electric guitar and wowed the kids with his rock riffs, and I filled dead time (while he set up) teaching a song I knew in both English and Spanish. I met a guy from Rio Frio named Franklin, and he helped me learn the word for “Hallelujah” in Q’eqchi’. On the last day of camp, we sang a two-part song, one part in English, the other in Q’eqchi’. To me, it was a beautiful illustration of how bridging language gaps draws people together and helps us find common ground. After a week of camp, I had made friends with a group of young people (the camp counselors), all of whom were interested in learning English. I decided to start a free weekly English class and the pastor of the local church offered us a space. If it goes well, I hope the class will be the first plank in a language bridge between the locals and the English-speaking cruisers who live here for part of the year. As of this posting, I’ve had two great classes, and had other cruisers ask how they can get involved. Photo: The crew of Take Two with camp counselors, Deon from s/v Dreamcatcher (far left), the crew of s/v Rothim (Hagit in the middle with Naomi and Adi to her right, Zoe next to Rachel), and our friends from Maine, Owen and Zuber (back row next to Aaron and far right). One of my students, a guy we met at camp, plays guitar and drums and made friends with Aaron. They have gotten together already to practice music. Eli went along too and it makes me happy to see our kids using their Spanish to reach out to locals. As we’ve peeled back the layers, I have begun to view my surroundings with different eyes. What first appeared as only a loud, dirty, and crowded town, Fronteras has become a place where I see familiar faces, occasionally hear my name called, and feel at home browsing in the produce stalls, waiting in line for fresh tortillas, or chatting in Spanish at the Dispensa Familiar. By the end of April, when our visas expire, we will have been here for more than six months. When we move on and approach the completion of our circle of the Caribbean Sea, Rio Dulce will be out of sight, but not out of mind. It is a place we know now, and love, and to which we may return for a future hurricane season.